IF YOU’VE BEEN a regular reader of my Tuesday column over the last 18 months, you will now know how highly I rank the basics and getting them nailed down and right when it comes to everything related to your health and fitness goals. From training programs and nutrition plans to even simple recovery methods, it really should always start with the basics and most of the time, we actually never need to step too far from these areas. As a trainer working mostly with clients on a one-to-one basis, I have seen how all of us actually need to be working around simple basic functional movements and once we do them right, the results achieved speak for themselves. Today I am going to cover five very simple movements that I see performed incorrectly far too often. Over the summer months, I found myself noticing plenty of outdoor bootcamp-style large group training sessions in many of the local parks dotted around Dublin. Firstly, let me say that the goal of any training plan should be just to get off the sofa and aim to move more in your day. It was great to see many parks full of activity in the long summer evenings; however, with large group sessions come many obstacles for both the trainer and participant involved. In the past I have taught and coached sessions with 15+ people in attendance. Group sessions can be a big challenge to keep everyone on the right path doing the right thing, particularly when you have all different levels from beginners to advanced. You have lots of different obstacles and challenges from some people with a lot of mobility restrictions than others, and then some people who know what’s right and wrong when it comes to their own technique a lot more than others. 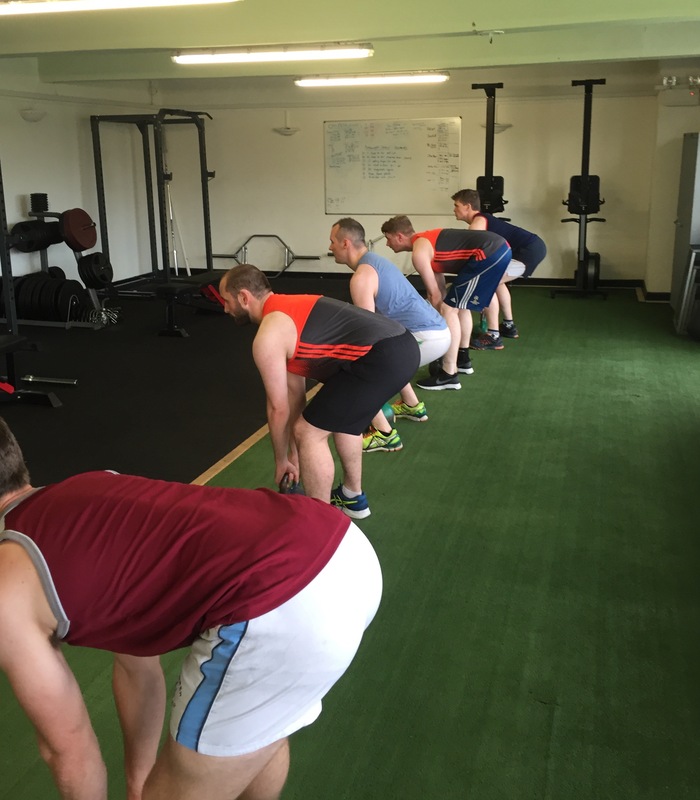 A lot of the time, the basic movements we see in group sessions can look quite different to everyone involved. Some master the movements well, yet some just haven’t got the grasp of them at all. Encouraging poor movement patterns and then ramping up with increased intensity and repetition will only lead to an injury somewhere down the line. Technique (learning the mechanics of the movement), consistency, then intensity should always be the three-step pattern here, but sadly we seem to see many trainers jump the gun on the early stages and go straight into intensity when it comes to the group workouts. ‍The picture above is an example of a small group of five who were all on a different page when it came to the same movement. The basic movement we are working on here is the hinge. In order to do simple basic functional movements like the deadlift or even a kettlebell swing, we need to know how to hinge the right way. As you can see below, everyone found a different bottom or setup position. This really is an example of how it can be challenging to keep the quality up in large group sessions, particularly when you have a variety of different levels from their training age and their mobility levels. In small groups like this, it will take some time and patience to fix all five into the right position. The best step here is technique, consistency, then intensity. If I was to skip the right steps and let the session go ahead with deadlifts and swings with lots of reps and intensity with everyone’s movement looking different from others, then I am fully sure at least a few of them would pick up a silly injury somewhere down the line. Below is a quick video of the five basic movements that I see performed poorly far too often. These are not the most complex of movements; these are the basics that I suggest everyone to have in and around their training program. Once you start to master these, you can look to develop them a bit more by perhaps adding more load or tweaking up the exercise a little as you develop a little more. ‍I hope you find this information useful and if you need any more advice, just pop me a message. You can see more advice from me on my social media pages, which are linked below.